Digital signage is an electronic display that is used in banking, churches, healthcare, hotels, nightclubs, retail outlets, restaurants, sports arenas, and other venues, displaying advertising, information, directions, and other messages. Digital signs employ LCD, LED and plasma technology, controlled by personal computers, making the updating of information quick and easy. 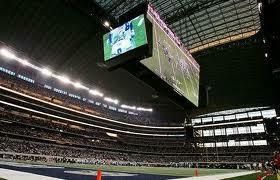 New technologies for digital signage are currently being developed, such as 3D screens, water screens and fog screens. The static advertising billboard is being replaced by a vibrant, multi-media experience that will provide more functional and interactive information to customers. Banks can improve sales of financial instruments, as customers wait in line. By watching the advertising message, the customers perceive the wait to be less than it actually is. Banks are becoming one of the largest markets to take advantage of digital signage, since banks have various products and services that could possibly benefit their customers if they only knew about them. Digital signage not only informs customers of the services available and promotions within the branch, but it is a form of entertainment, taking the customer’s mind off of the wait. By providing continuously updated and pertinent information throughout the day, digital signage is the perfect solution to install around waiting areas, behind the tellers, in transactional kiosks, and in the drive-through lines. Bars and nightclubs can use digital signage systems to promote premium drinks and brands, notify customers about upcoming events and nightly specials, and augment the drinking experience with sports scores, trivia, news and weather. Because bars and nightclubs have always been attractive to advertisers, digital signage would give these advertisers a new way to market their products. Menu boards can be updated throughout the day with meal changes and happy hour specials. Of course, if there is a newsworthy event taking place, the images can be displayed to keep the customers up-to-date. This is especially important to a sports bar, when the latest event is being broadcast. Educational facilities can use digital signage to improve campus communications, by informing students of campus emergency alerts, giving directions to buildings, and by increasing student and staff awareness of campus news, information and policies. 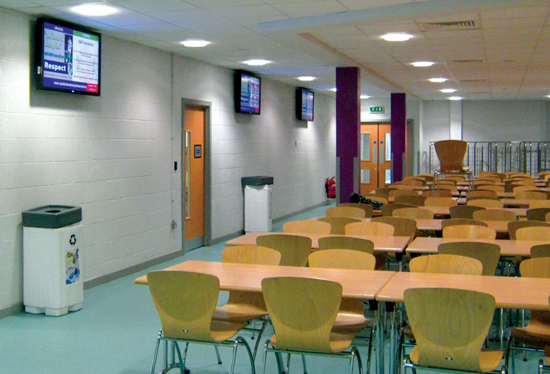 Digital signage can display a range of information, including promotions for school clubs, results of student competitions, birthday messages, and the presentation of the campus TV network during breaks and lunches. Students are more tech-savvy than ever, making the posting of campus news on the doors of dormitory rooms and community bulletin boards obsolete. In a business college, digital signs can be used in the finance lab to emulate the Wall Street experience. Using multiple screens in the dining halls, students can be kept abreast of the menu changes. Since most universities are small cities, it is important to get emergency information to the students quickly and accurately. Hotels, motels and resorts can improve communications with guests by giving directions to the pool, restaurants, and meeting rooms, along with meeting room schedules. Local businesses, such as pizza restaurants, can add additional revenue to the hotel through digital signage advertising. Digital displays can promote value-added services like room upgrades and loyalty programs, display welcoming messages for conferences and large group events, provide guests with current weather and news information, display emergency messages and alerts, and congratulate valued guests on their birthday, anniversary, or other special date. I remember visiting the same hotel in Hong Kong on multiple business trips, and every time, they acknowledged my arrival with a sign in the lobby, which made me feel special and want to return to that hotel on subsequent trips. Loyal travelers are the key to the success of a hotel. A digital signage network is ideal for location-specific content, such as providing work- out information in the fitness center, suggesting selected menu items in the restaurants, and providing news, weather and general information in the corridors. Signage at the concierge desk can advertise and present information for tickets to shows, attractions and other events in the local area. Healthcare providers can use digital signage to improve communications with patients, reduce perceived wait time in waiting rooms, present easy directions for services, and educate patients on wellness care, new services and physician specialties. Digital signage and interactive kiosks in healthcare can provide much needed information, from helping visitors find their way around a large hospital to informing and entertaining patients as they sit in the waiting room. Using digital signage, a medical facility can market a new diagnostic center, promote a sponsored community event, or introduce new providers. Using a secure HIPAA-compliant interactive touch-screen kiosk, patients can check themselves in, saving time and the possibility of errors. A medical or dental digital signage system is not only used to inform, but can be used to socialize. Not only will a digital sign enhance a healthcare office lobby by educating the patients about the industry, and inform the patients of what the practice has to offer; but the digital signage also leverages social media in the waiting area. Through integration with Facebook and Twitter, a medical practice can display positive comments found on social media profiles and encourage the patients to connect with the office while they wait in the lobby. Houses of worship can use digital signage solutions to communicate messages more effectively to congregations by displaying sermons, showing event schedules, and by giving inspirational messages. Modern religious congregations serve many age groups, all involved in a variety of activities. 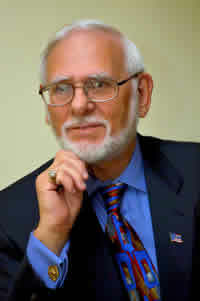 Static presentations limit the house of worship’s ability to promote upcoming events with their schedules. Signage can promote volunteer opportunities, as well as advertise DVDs, audio books and other religious offerings that the place of worship has for sale. 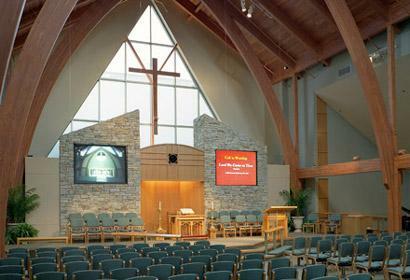 Large displays in the sanctuary assist the congregation with the words to hymns, as well as display the sermon as it is presented for those with limited hearing. 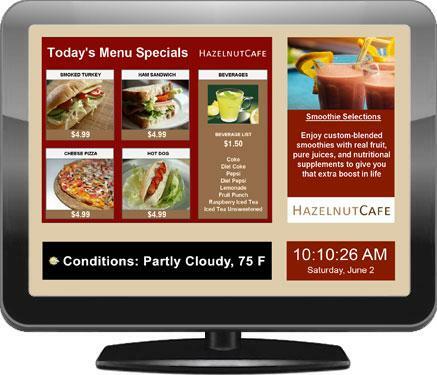 Restaurants can use digital signage networks to promote featured menu items. By using video, a restaurant can showcase new meals, the specialty of the day, or the staff at the restaurant. This method shows regulars that there is a reason to come back and try something new. Showcasing hot seasonal items allows consumers to see new options while waiting on their server. It is easy for a restaurant to create menu boards and even schedule changes throughout the day, such as when lunch or senior prices take effect. While featuring the daily specials, a restaurant can promote high-margin food and beverage items, as well as entertain the patrons with games, trivia and contests. To comply with the new nutrition laws, calorie and other information can be displayed upon request. Retailers can boost sales by the careful placement of digital signage throughout the store. New products can be featured as they arrive, sparking consumer interest, while educating customers on a product’s benefits and value. Digital signage in malls, chain stores, and shops can display news, promotions, announcements, store hours, and special deals to interested consumers, while capturing the customers’ attention and influencing their purchasing decisions right at the point of purchase, by designing a digital display that perfectly complements the featured products. Employing eye-catching visuals and dynamic messages, retail digital signage displays can convert an ordinary store visit into an inviting and innovative shopping experience. Besides promoting new and sale items, digital signage can be used for product demonstrations and testimonials. If a store has a loyalty program, the store can educate its customers as to the benefits, or invite the consumer to sign up for a credit card. 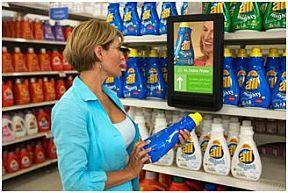 Major brands can advertise through the stores’ signage system drawing the consumer to featured brand products. Stadiums and arenas can use digital signage to notify patrons about current and upcoming attractions, increase concession sales, enable fans to text votes on their mobile phones to on-screen polls, and encourage them to twitter team players or entertainment performers. From the huge digital screens to long banks of self-service ticketing kiosks, stadium digital signs come in all shapes and sizes and serve all kinds of functions and guest services. During game half-time and intermission breaks at concerts, customers flood the concession stands. With easy to see and read menu boards, it will be easier to manage the wait lines and impatient customers. Nothing is more frustrating than trying to find a seat when a patron is not familiar with the venue. Stadium directional signs help guide fans to their seats in an efficient and orderly manner; and the signs can even point visitors to nearby retail shops, concourses, and other areas of interest in and near the stadium. Interaction with mobile phones is the future of digital signage. Consumers will be able to use their smart phones to interact with a digital sign. The customer will be able to communicate in a way that requires shopper involvement. The next stage in digital signage will be mobile integration. Because of our infatuation with the smart phone and tablets, consumers want to be able to interact with digital signage. By utilizing smart phones, the consumer can control the message, enabling companies to market to them, depending on their wellbeing and desires. As advertising and technology converge, digital signage will develop in significance as a must-have component of integrated marketing campaigns.